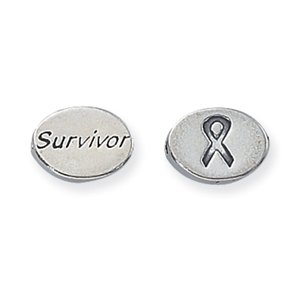 Ribbon/Survivor Message Bead - 2 Sided!! Home > Charms > Sterling Silver Message Beads > Ribbon/Survivor Message Bead - 2 Sided!! Survivor on one side, and an Awareness Ribbon on the other! Add a special touch with a message bead!